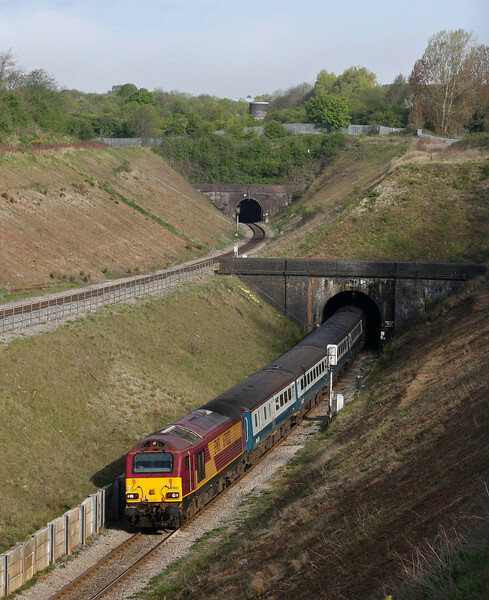 67017/67022, 12.47 Paignton-Cardiff Central, Cattybrook, Bristol, 23-4-10. 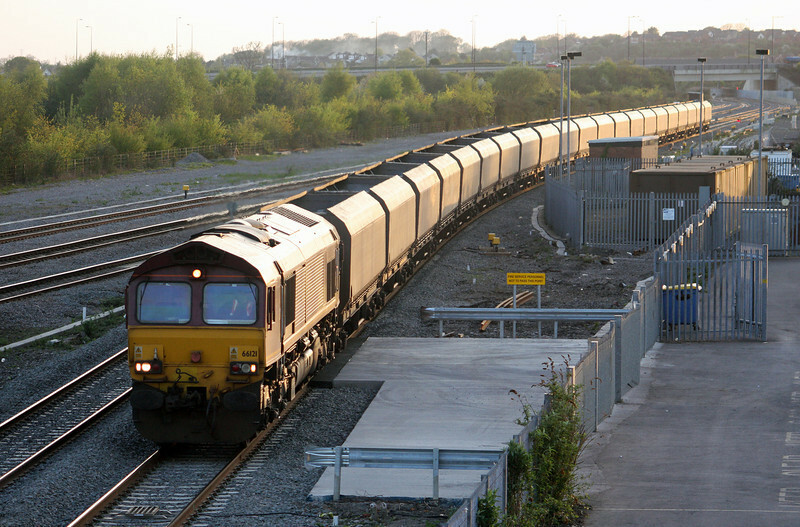 66008, 15.14 Newport Alexandra Dock Junction Yard-Westbury Yard, Cattybrook, Bristol, 23-4-10. 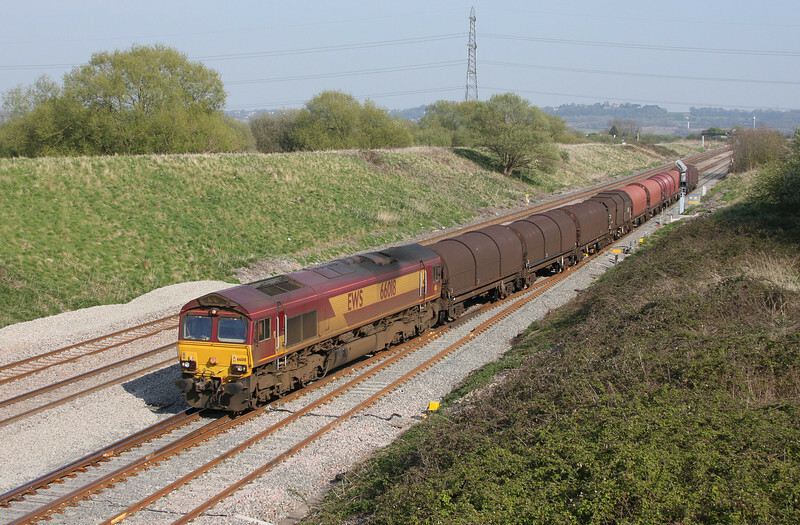 66018, 14.21 Swindon Steel Terminal-Llanwern, Cattybrook, Bristol, 23-4-10. 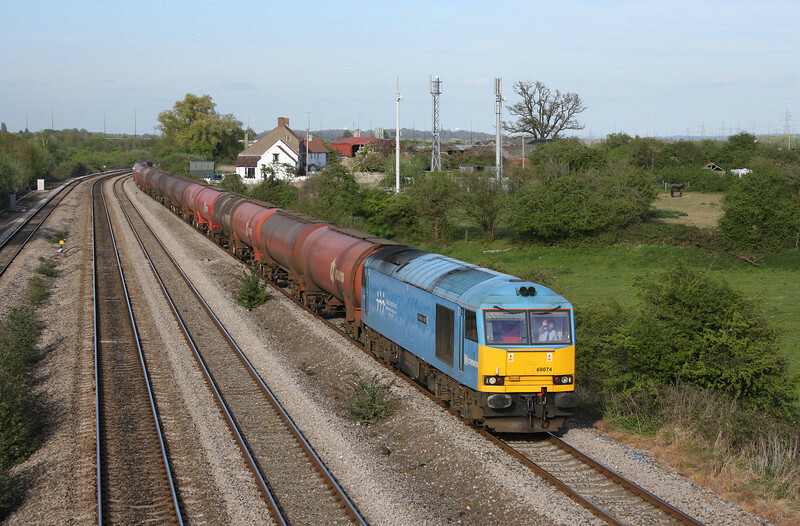 66018, 14.21 Swindon Steel Terminal-Llanwern, Pilning, 23-4-10. 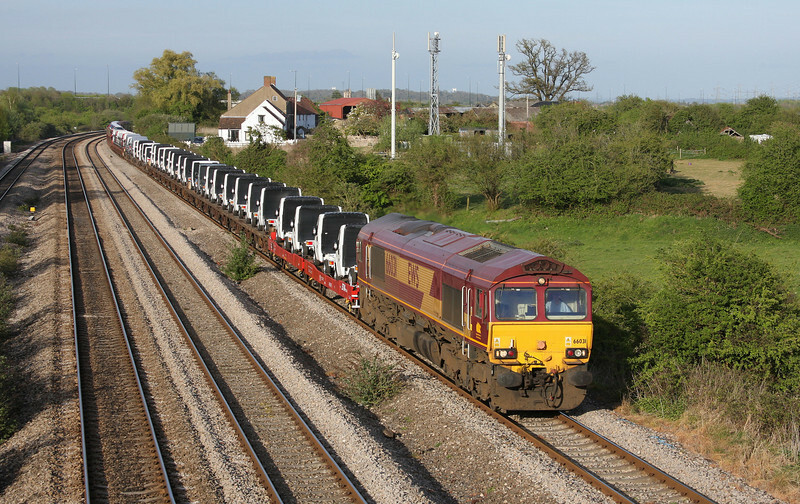 66018, 14.21 Swindon Steel Terminal-Llanwern, departing Pilning loop, 23-4-10. 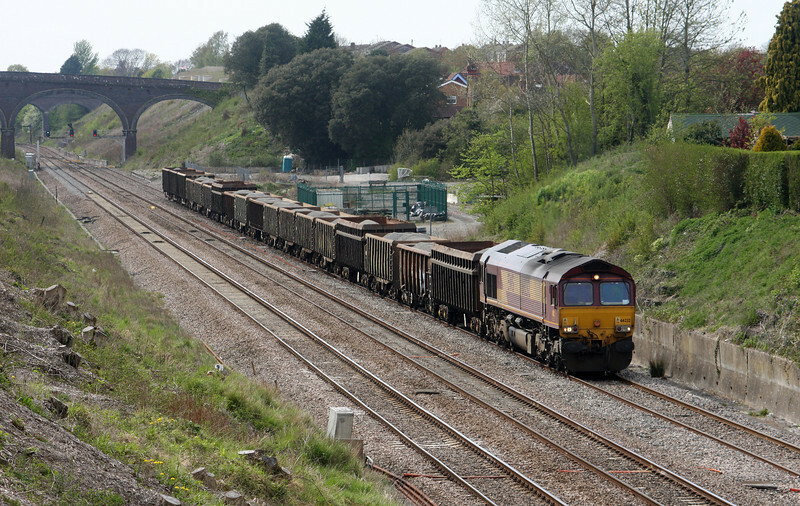 66155, 16.42 Avonmouth Bulk Handling Terminal-Aberthaw Power Station, Patchway, Bristol, 23-4-10. 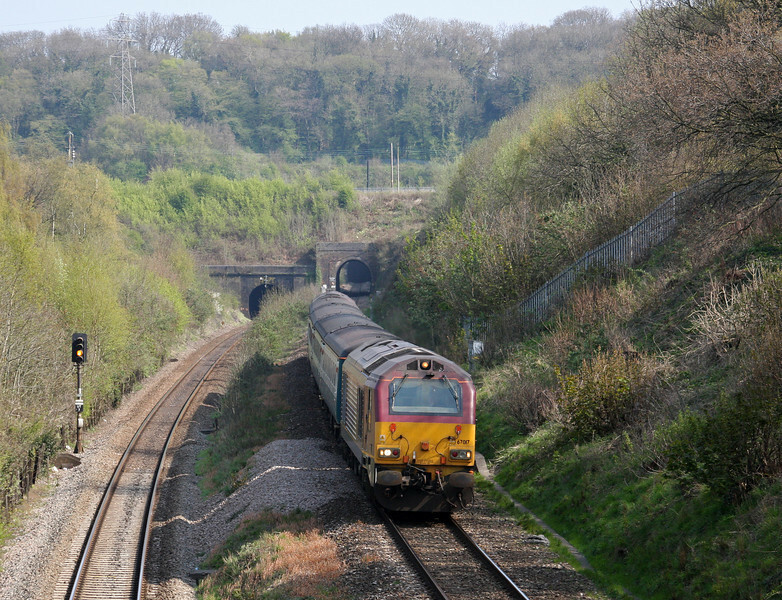 67022/67017, 08.00 Cardiff Central-Paignton, Patchway Tunnels, Bristol, 27-4-10. 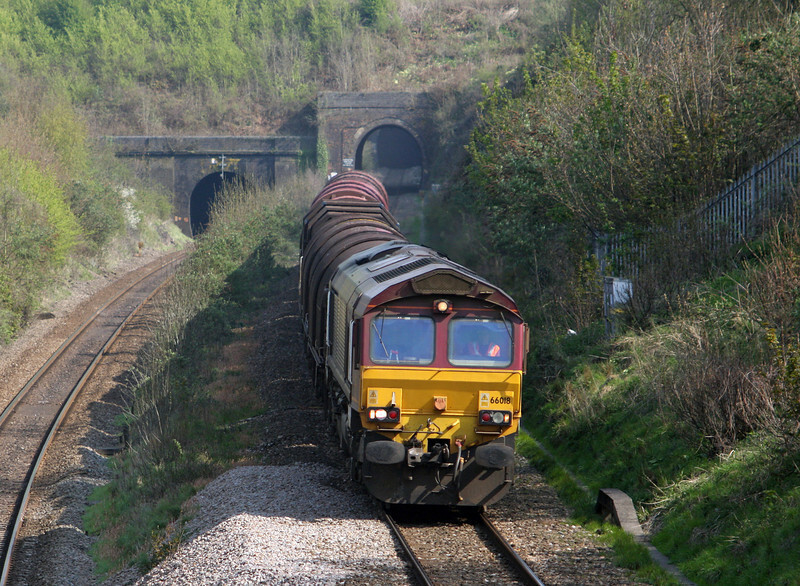 66599, 08.28 Cardiff Pengam-Theale, Newton St Loe, near Bath, 27-4-10. 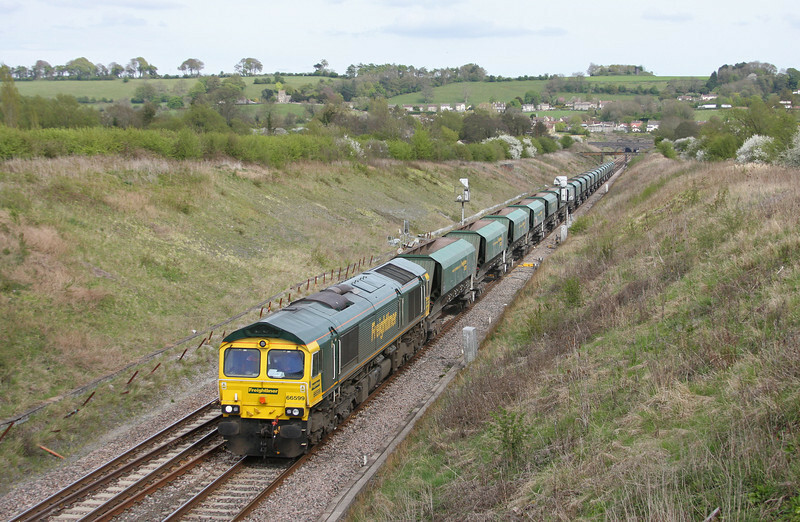 66087, 10.16 Westbury Yard-Newport Alexandra DockJunction Yard, Newton St Loe, near Bath, 27-4-10. 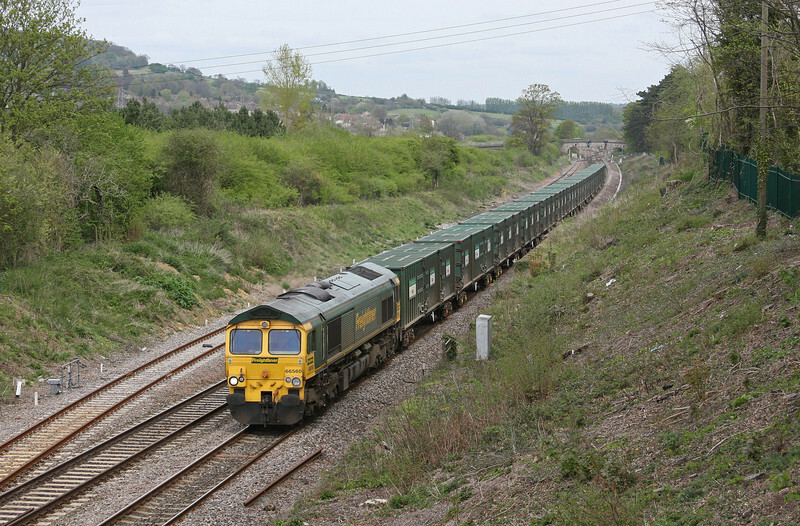 66606, 09.55 Taunton Fairwater Yard-Taunton Fairwater Yard, via Bath and Westbury, Claverton, near Bath, 27-4-10. 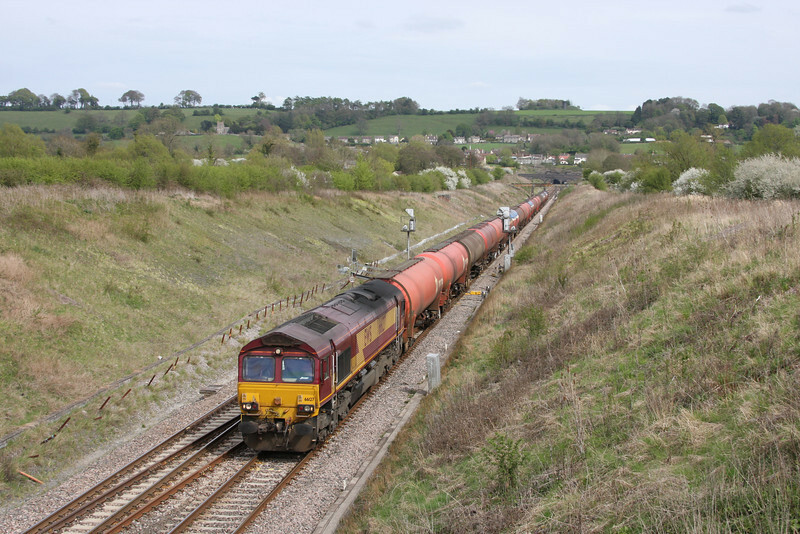 66198, 08.48 Fawley-Plymouth Tavistock Junction Yard, Claverton, near Bath, 27-4-10. 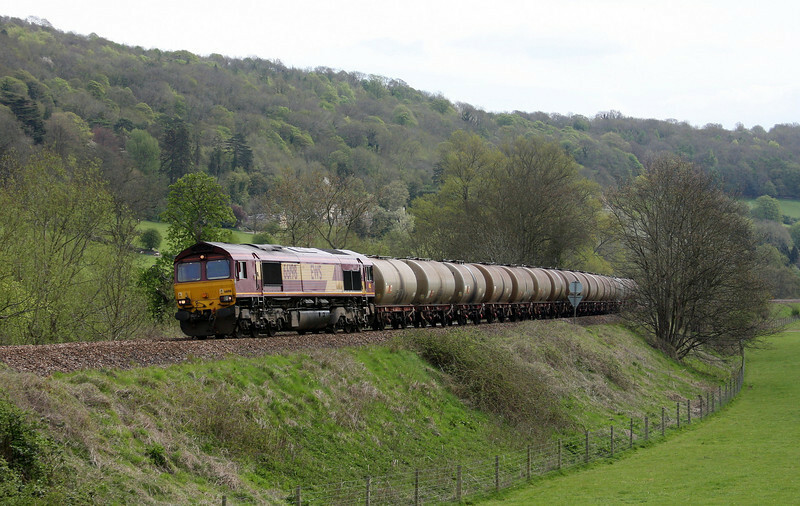 66560, 10.27 Calvert-Bristol Barrow Road RTS, Bathampton, near Bath, 27-4-10. 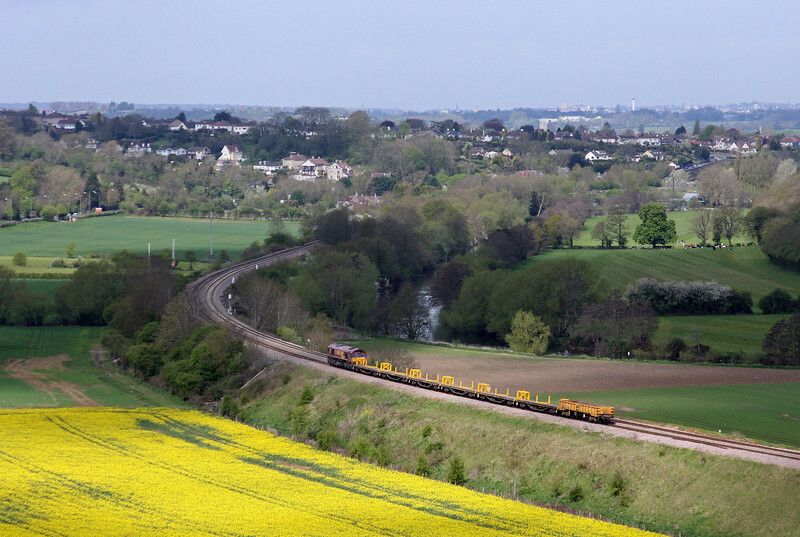 66127, 13.35 Theale-Robeston, Chipping Sodbury, 27-4-10. 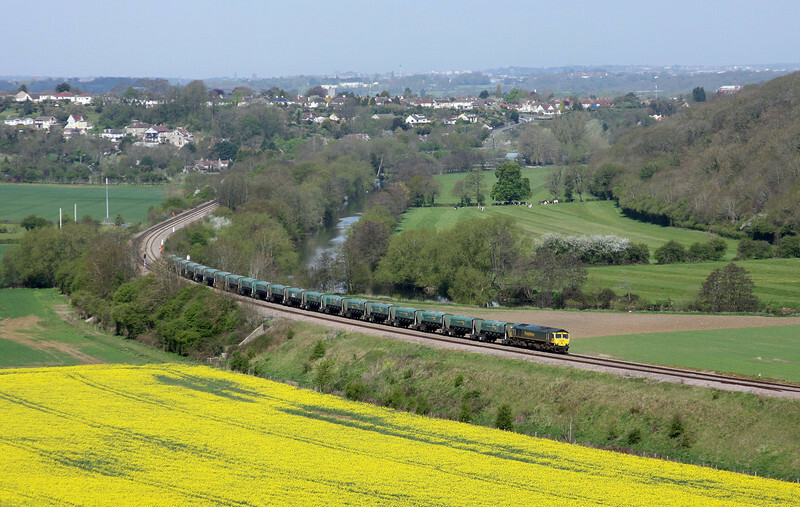 66232, 12.34 Grange Sidings-Lea Interchange, Chipping Sodbury, near Bristol, 27-4-10. 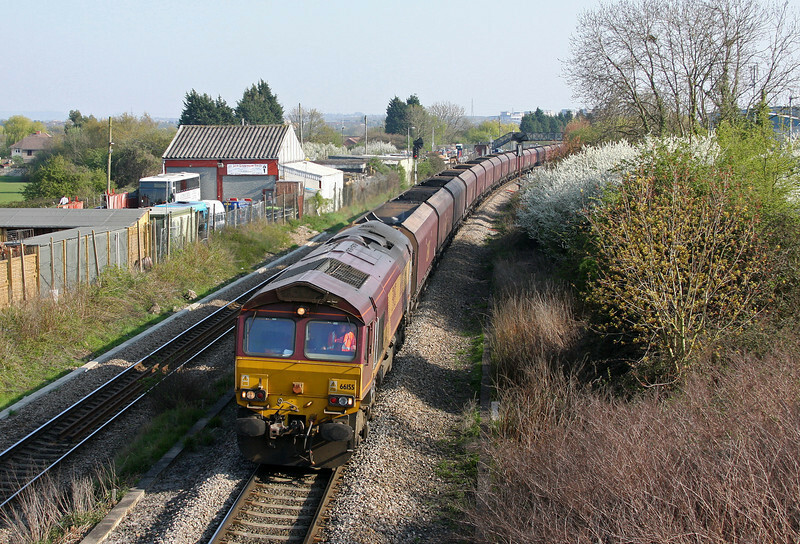 66232, 12.34 Port Talbot Grange Sidings-Lea Interchange, London, departing Chipping Sodbury loop, 27-4-10. 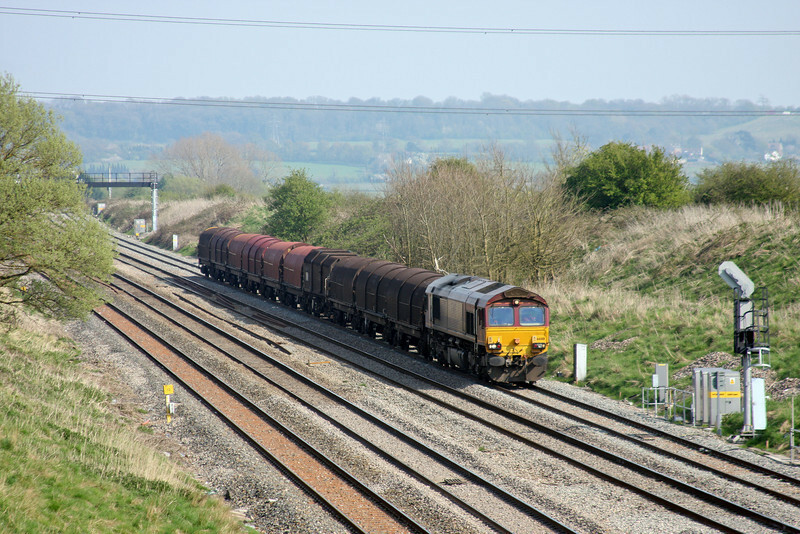 66599, 14.34 Theale-Bristol Stoke Gifford Yard, Chipping Sodbury, 27-4-10. 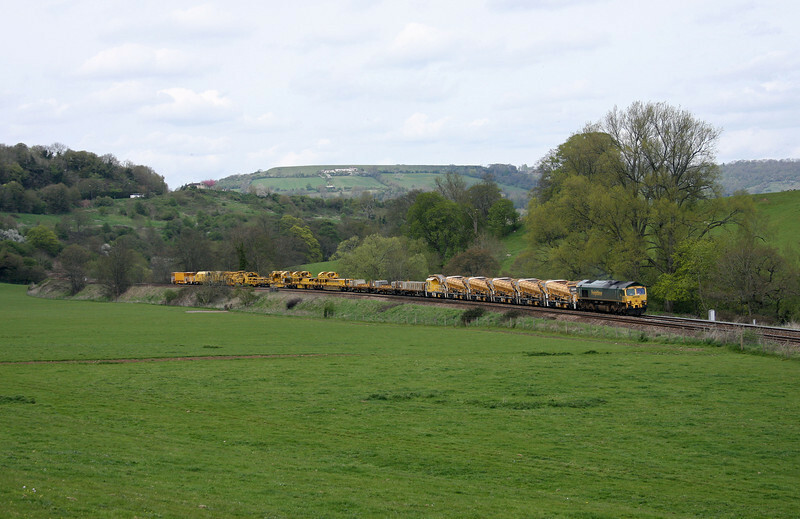 60074, 17.22 Westerleigh-Robeston, Undy, near Magor, 27-4-10. 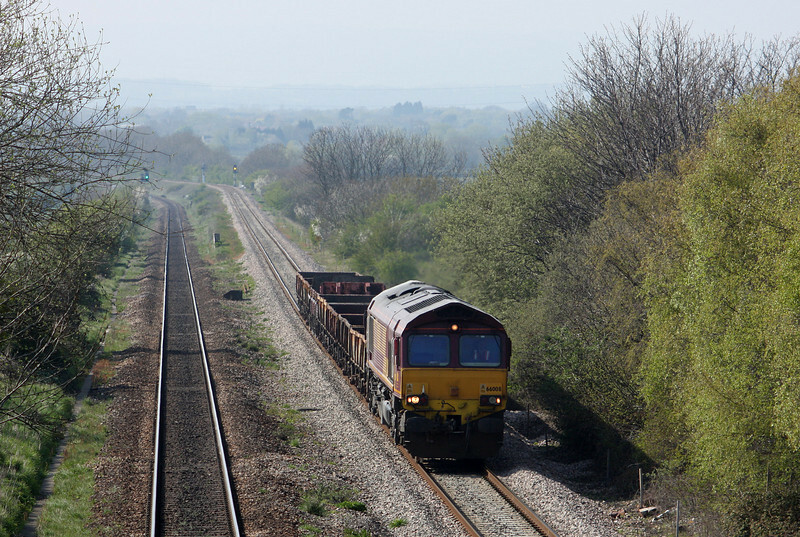 66031, 17.33 Portbury-Mossend, Undy, near Magor, 27-4-10. 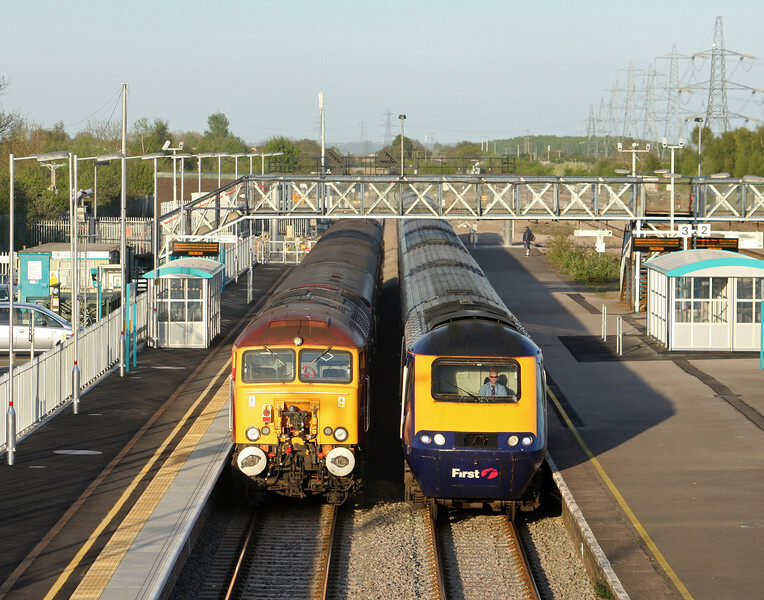 57302/57309, 19.00 Cardiff Central-Taunton, Severn Tunnel Junction, 27-4-10; HST, 17.45 Paddington-Carmarthen. 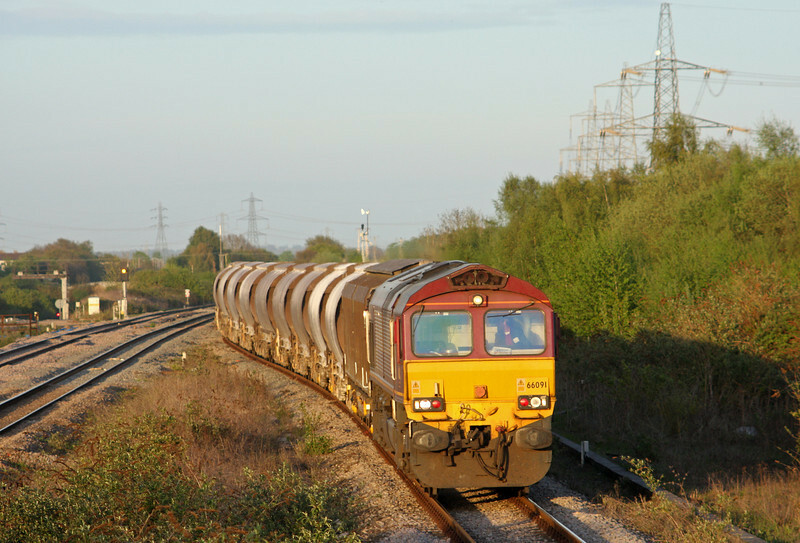 66018, 17.52 Cardiff Wentloog-Didcot Yard, Severn Tunnel Junction, 27-4-10. 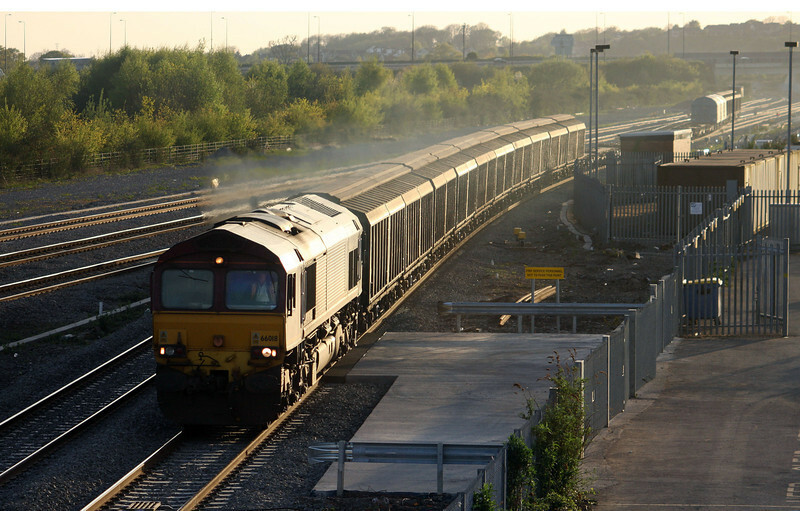 66091, 16.58 Bescot Yard-Newport Alexandra Dock Junction Yard, Severn Tunnel Junction, 27-4-10. 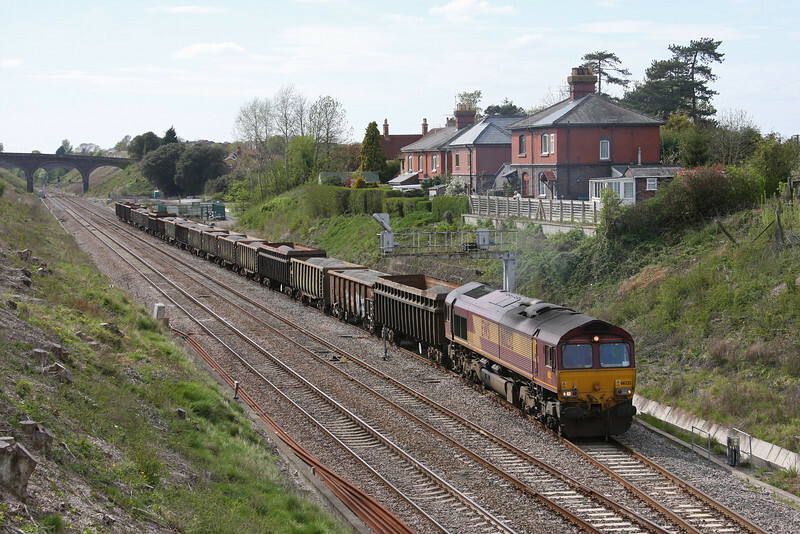 66121, 18.23 Aberthaw Power Station-Avonmouth Bulk Handling Terminal, Severn Tunnel Junction, 27-4-10.